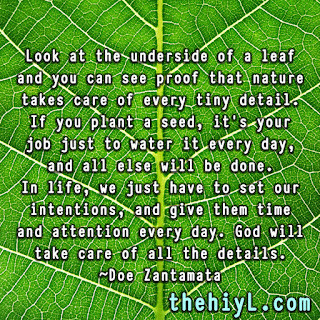 Look at the underside of a leaf and you can see proof that nature takes care of every tiny detail. If you plant a seed, it’s your job just to water it every day, and all else will be done. In life, we just have to set our intentions, and give them time and attention every day. 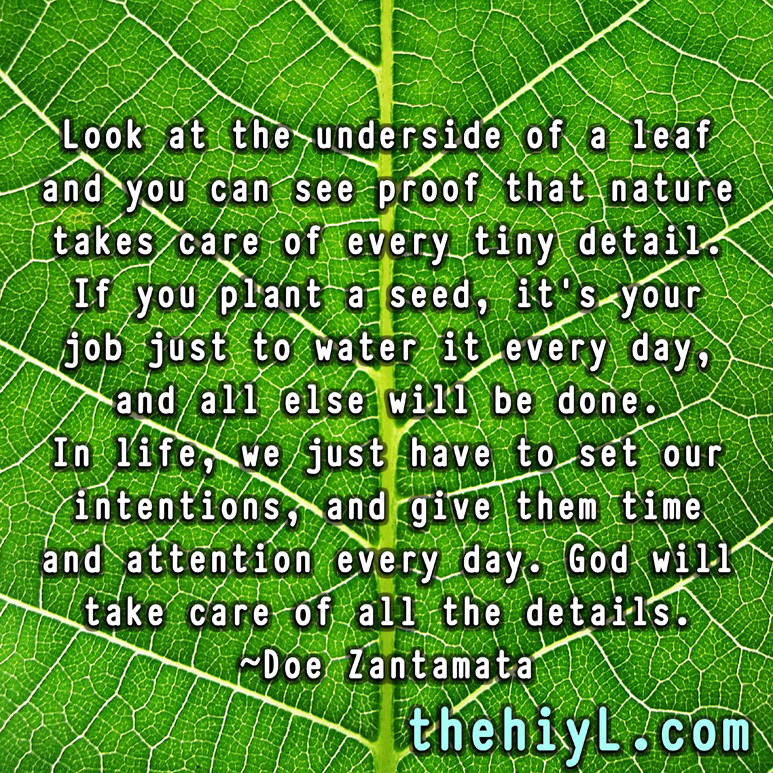 God will take care of all the details.